How do you research a secret treaty? Word on the street is that the United States is in negotiations about a treaty entitled, "Anti-Counterfeiting Trade Agreement" or ACTA, for short. It's tough to nail down details because the parties to the treaty have (apparently) agreed to make the negotiation secret. Can we get official information about such things? Probably not - that's the point of the secrecy. Our usual sources for treaty and other legal information will likely fail us. Since we can't get "official" information, can we at least get reliable information? We could use Google to search the New York Times. Here's how the search might look: [ site:www.nytimes.com "Anti-Counterfeiting Trade Agreement" ] And it appears they're following the story. But, it appears they've only got a small handful recent articles. Compare WikiLeaks, a relative newcomer to the world of journalism. We could use Google to search Wikileaks: [ site:http://wikileaks.org/ "Anti-Counterfeiting Trade Agreement" ]. 47 results in many languages -- looks much more like unedited access to primary documents than a couple of New York Times articles. The differences here between New York Times and WikiLeaks points to the important role that reputation plays in legal research. We rely on legal materials, in part, because we know where they came from. The law itself lays out many of those materials and we can navigate them predictably. But when the law (or, more cynically, politicians) prevent access to primary information, the legal researcher must turn to "shakier" sources. Journalists and news outlets spend much effort to verify what they report because ultimately they're trading on reputation. In turn, the legal researcher has to similarly bring a critical eye. In honor of Valentine's Day, a staffer at Avvo wrote some "half-serious" tips on How to Date a Lawyer. A couple of people who posted comments thought the list was stupid or sexist, but most agreed with me that it was amusing. Hoping that some readers of Gallagher Blogs could use a little amusement, I decided to link to it here. If you're in no mood for something that's only half serious, take a look at Joint Committee on Taxation, Present Law And Background Data Related To The Individual Income And Social Insurance Taxes As In Effect For 2010 And 2011. That 44-page report should be plenty serious enough for you. Graphic from University of Oklahoma's Themis clip art, with a little tweaking. Yesterday the USDA and the Department of Justice announced a settlement in a lawsuit by black farmers who claimed discrimination by the USDA. The government -- contingent on appropriation by Congress -- will pay $1.25 billion to claimants in the class. This is actually the second settlment in the case, Pigford v. Vilsack (originally Pigford v. Glickman): thousands of claims have been adjudicated under a 1999 consent decree. The government paid out over $1 billion to about 16,000 farmers. USDA Reaches New Settlement With Black Farmers, N.Y. Times, Feb. 18, 2010. The 1999 consent decress established a monitor to (1) report on the implementation of the Consent Decree; (2) attempt to resolve problems that class members may have with respect to the Consent Decree; (3) decide the merits of Petitions for Monitor Review; and (4) set up a toll-free number to respond to the questions of class members. The monitor's website is here. Legislative declaration for civil liberties day of remembrance. The legislature recognizes that on February 19, 1942, the President of the United States issued Executive Order 9066 which authorized military rule over civilian law and lives; that Executive Order 9066 led to the World War II evacuation and internment of more than one hundred twenty thousand Japanese Americans, most of whom were United States citizens by birth; that Japanese Americans lost their homes and livelihoods and suffered physical and psychological damage; and that, despite widespread hostility and discrimination, Japanese Americans served with distinction in the United States military effort as members of the Military Intelligence Service and in the segregated 100th Infantry Battalion and the 442nd Regimental Combat Team. The legislature further recognizes that in the name of "military necessity," Japanese Americans were deprived of their fundamental constitutional rights and civil liberties; and that the Japanese American experience during World War II tragically illuminates the fragile nature of our most cherished national beliefs and values. The legislature declares that an annual day of recognition be observed in remembrance of Japanese Americans interned during World War II as a reminder that, regardless of the provocation, individual rights and freedoms must never be denied. For online exhibits -- with photos and text -- see the University Libraries' Japanese American Exhibit and Access Project. For more, search the catalog for Japanese Americans -- Evacuation and relocation, 1942-1945. Pitched competition on the ski slopes and skating rinks aside, the ongoing 2010 Winter Olympic Games in Vancouver are proving an opportunity for unprecedented international cooperation between traditional sporting rivals Canada and the United States. A February 3 news release from the U.S. Department of Homeland Security announced the The Olympic Shiprider program, a joint operation of the U.S. Coast Guard and Royal Canadian Mounted Police (RCMP) Federal Border Integrity Program, which was launched in waters off the Pacific Northwest coast to enhance law enforcement and security operations during the 2010 Winter Games. The pilot program permits the two nations to conduct cross-border integrated law enforcement operations in shared waterways during the Olympics. Law enforcement vessels will be jointly crewed by specially trained American and Canadian officers authorized to enforce the law on both sides of the international boundary, while respecting the sovereignty of both nations. For additional commentary and analysis on the joint North American law enforcement efforts jump-started by the 2010 Olympics, see a January 23 article by Spencer Hsu of the Washington Post. Slavery by Another Name: The Re-Enslavement of Black Americans from the Civil War to World War II is at times hard to read -- and yet so compelling that it's hard to put down. Douglas Blackmon, a reporter for the Wall Street Journal discovered the untold story of convict laborers in Birmingham's steel industry. His work on a newspaper article grew through painstaking research in the National Archives, local court records, newspaper archives, and piles of data, resulting in this impressive book. For decades after the official end of slavery, African Americans were subject to arrest (for vagrancy, leaving a farm before one's employment contract was up, carrying a weapon, and other crimes), perfunctory trials, fines they could not pay, and subsequent "sale" to employers who had them labor in execreble conditions, spending their days and nights in shackles. Around 1903 a U.S. Attorney in Alabama (with the blessing of Teddy Roosevelt's administration) prosecuted a few of the men involved in this dirty business. Despite convictions, the practice continued for decades. An important look into U.S. history -- and legal history. Check it out: E185.2 .B545 2009 at Good Reads. Third National People of Color Scholarship Conference (Newark, Sept. 9-12, 2010). Papers "may, but need not, be related to our broad conference theme, Our Country, Our World in a “Post-Racial” Era." Deadline is June 15, 2010. National Advocates for Pregnant Women. "This contest asks for a critical analysis of the absence of birthing rights issues from gender discrimination and feminist jurisprudence textbooks and curricula." Deadline is Dec. 15, 2010. Lewis & Clark Law School has a long list of student writing competitions. Business law, health law, intellectual property law -- there's a competition on almost any topic you're interested in! Adam Liptak profiles Shon Hopwood, a convicted bank robber who spent most of his time in prison in the prison's law library and became an accomplished appellate advocate. For instance, he drafted a cert. petition for an inmate named Fellers. The court received 7,209 petitions that year from prisoners and others too poor to pay the filing fee, and it agreed to hear just eight of them. One was Fellers v. United States. A Mediocre Criminal, but an Unmatched Jailhouse Lawyer, N.Y. Times, Feb. 8, 2010. The Court ruled for Fellers, 9-0. Hopwood has since had another cert. petition granted and has helped inmates with lower court cases too. After his release from prison, he became a paralegal at a printer that prepares Supreme Court briefs. Seth Waxman is still a strong supporter, and Hopwood is considering law school. The law library changed Mr. Hopwood’s life. Are you surprised that someone convicted of bank robbery would consider law school because he'd never be admitted to the bar? Don't jump to conclusions. Applicants for the bar must show good moral character, true, but a criminal record isn't necessarily a deal breaker. If the applicant shows rehabilitation, then many jurisdictions allow bar admission. See George L. Blum, Annot., Criminal Record as Affecting Applicant's Moral Character for Purposes of Admission to the Bar, 3 A.L.R.6th 49 (2005). 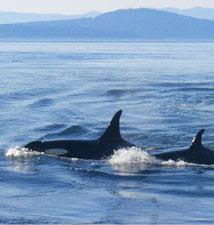 The Puget Sound Partnership has issued its first State of the Sound report noting the current condition of Puget Sound, funding allocated to clean up efforts, and accomplishments and challenges in the effort to clean up the Sound for the 2007-2009 biennium. Puget Sound Ecosystem Gets Mixed Reviews, from the Seattle Times. The Law Librarian Blog (yes Virginia, there is such a thing!) posted links to several sources describing and analyzing Westlaw Next. Check them out if you want to be the first kid on your block to be up on Next. Law and literature can encompass a lot more than To Kill a Mockingbird, Bleak House, and a stack of thrillers and mysteries. Consider The Art of Racing in the Rain by Garth Stein (PS3569.T3655 A88 2009 at Good Reads). (See the Author's website.) In this bestselling novel, set in Seattle, we see the progress of a child custody battle. The narrator observes all the family members and sees the dispute develop. He's even present for some of the father's meetings with his lawyer, since they take place at the sidewalk tables of a coffee house on Capitol Hill. It's unusual for the narrator of a courtroom drama not to be allowed in the courthouse (did I mention the narrator is a dog? ), but he is otherwise an amazingly astute observer and he does a good job putting together the missing pieces. Suppose you're reading an article and it cites a book you'd like to see. You wonder whether your favorite law library has it. Of course you could open up another tab and run a search in our catalog. But wouldn't it be slick if you could save a step? Now you can! Thanks to law student David Rubenstein, you can download a Firefox plugin that will put the Gallagher Law Library catalog as close as Google or Wikipedia. To get this plugin, just go here. The sample footnote above is from Chelsea Peters, MySpace or Yours? The Impact of the MySpace-Attorneys General Agreement on Online Businesses, 5 Shidler J. L. Com. & Tech. 10 (2008). Have you taken a look at the Shidler Journal lately? Gallagher Blogs is intended to provide our community with news, tips, and information about resources helpful for legal research. The Research Services librarians can provide basic reference assistance to help users learn more about how to use products mentioned, although we may not have in-depth knowledge of any given product. UW Law's Computing Services Department does not necessarily support the software mentioned in this blog. Not sure what a feed reader is? See this fun video by Common Craft: RSS in Plain English. Curious about other blogs from Washington State? See Law-Related Blogs in Washington State.